About the Royal Family – Hopkins Raspberry Festival! The Raspberry Royalty promote community service, volunteerism, and personal growth for young ladies within the local community. We can provide these options via travel around the state, city civic events, and forging new relationships. We are so proud of our past royalty, as they continue to support the program and come back to help in various capacities. They often tell us that their futures change based on the experiences they have within the program. The friendships, networking and scholarship assistance are all valuable opportunities for these young people. 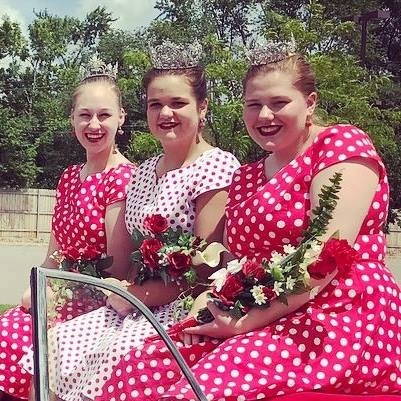 For more information on the Hopkins Raspberry Festival Royal Family, please contact the festival office at 952-931-0878 or our Royalty Coordinator, at royalty@raspberrycapital.com. Who is part of the Royal Family? What does the Royal Family do during their one year reign? For more than 20 years, our Raspberry Royalty each year have more in common than just titles. 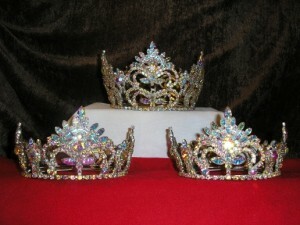 What are referred to as the ‘formal crowns’ were donated to the Raspberry Festival in memory of Jan Phillips 1994. These are worn proudly by the Royalty during their reign at formal appearances, and passed on to the newly crowned Royalty each year at the Royalty Coronation. For over 25 years our float served the Raspberry Festival and Hopkins well! 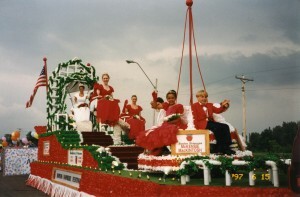 It has been in continuous service since 1991, when the Raspberry Festival commissioned its construction, until wear and tear forced its retirement in 2017. The float measured 12 feet tall and more than 30 feet long- and that’s not including the van that towed it! Our Junior Royalty rode on a mechanical merry-go-round while our Senior Ambassadors relaxed on the lovely park bench. The Princesses had fun as they rode up and down on the teeter-totter. And our Queen enjoyed the view from her swing. 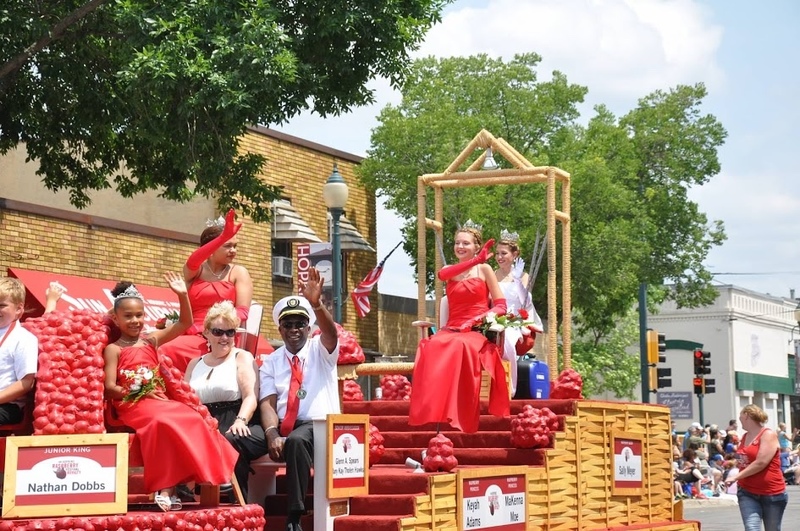 The Hopkins Raspberry Festival redesigned the float in 2013 to portray a raspberry basket to honor the history of the festival which started by businessmen and farmers during the Great Depression to boost businesses in Hopkins. The Raspberry Royalty float shall be missed but we proudly remember our float for its countless memories. Walser Automotive Group got its start in Hopkins when Jack Walser opened Town’s Edge Ford in 1956. Since then, we’ve been a proud member of the Hopkins community and have been committed to giving back to communities where we work, live, and play. On behalf of its employees, its customers and their families, Walser is proud to support Raspberry Royalty Scholarships.